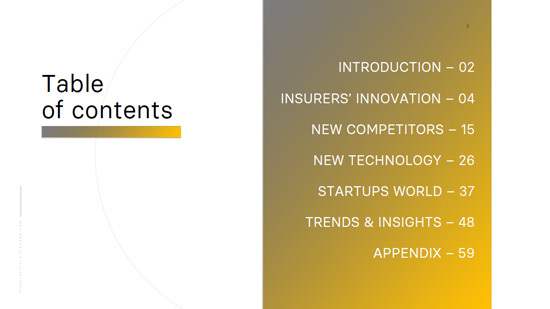 is a curated insurtech innovation report designed to serve you knowledge about insurance industry innovation to inspire you and your company. The first card contains general information and an introduction to the subject. The second part presents the most important example to pay attention to when analyzing the case. On these slides you will find information about who and where implemented given trend or technology. 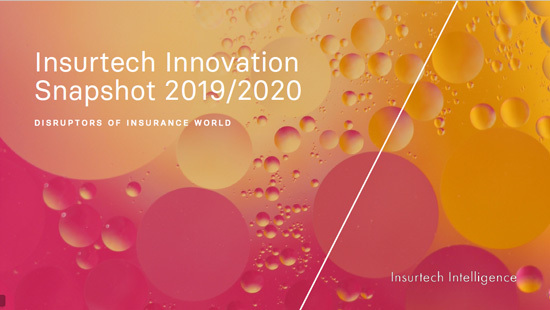 You can safely purchase Insurtech Innovation Snapshot 2019-2020 as digital download on our website. 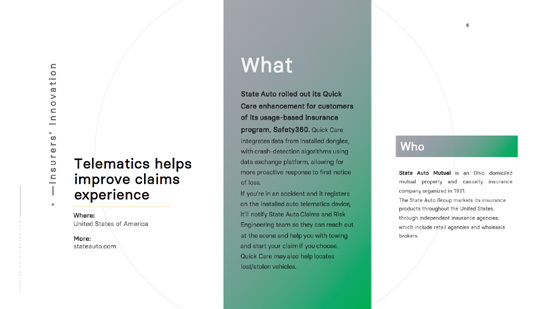 Insurtech Intelligence is a link between think tank and a insurance innovation research firm. 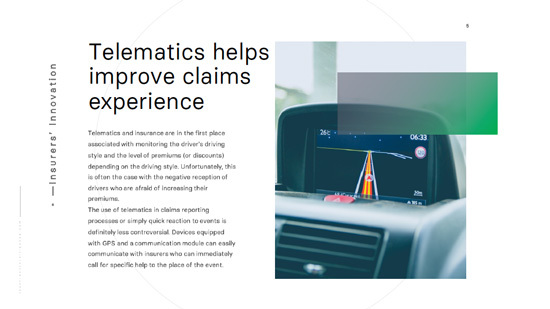 We are focused on insurtech innovation aspect – a combination of insurance and technology. We draw on our knowledge from many years of experience in working in R&D departments and hundreds of the most reliable sources of information. Our mission is to create positive impact through knowledge of innovation. We want to be the most up to date and relevant source of innovation and disruptive ideas from around the world for the insurance industry. Insurtech Intelligence is a service that legally runs under Jerzy Kurgan Company. Currently the fastest way to buy our report is via PayPal. You can either pay using your PayPal account, or pay with a credit card if you do not have one. Just to make things clear – PayPal will be the payment operator if you choose this payment method. If you don’t like PayPal, you can always pay manually by bank transfer/wire transfer (SWIFT). To do so simply contact us via form on our contact page or send us an e-mail (hello@insurtechintelligence.com).